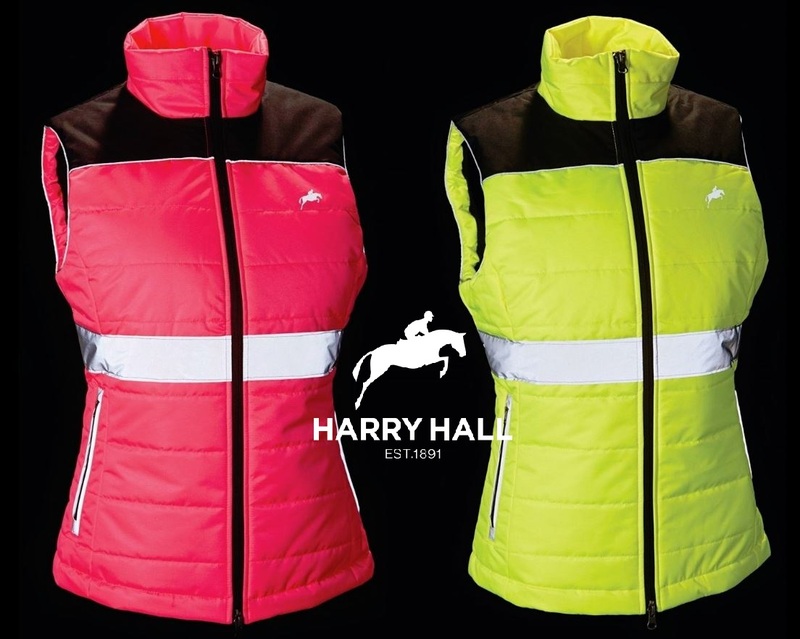 A fabulous hi vis quilted down like gilet from trusted brand Harry Hall. Featuring reflective prints and trim front and back for optimum visibility. Also includes invisible zipped rear double vents, reflective zipped lower pockets and also a 2-way centre front riding zip.